Palm Beach State College was founded in Lake Worth in 1933 as Florida’s first public community college. The school believes that its work with students to prepare them for careers transforms the local community. To that end, it offers three bachelor degrees, two associate degrees, and numerous professional certification programs. Three of the most popular certification programs are in the fields of dental assisting, medical assisting, and surgical technology, directed by Jane Fisher. Although Fisher and the college as a whole go out of their way to provide students with a real-world training environment and the knowledge needed to succeed on their certification exams, the students were having a tough time adjusting to new online versions of the tests. “We needed to give the students more exposure to online testing, with the goal of improving our overall certification results,” said Fisher. Palm Beach State College began in 1933 as Florida’s first public community college. They believe that their work with students in preparing them for careers transforms the local community. To that end, they offer three bachelor degrees, two associate degrees, and numerous professional certification programs. Three of the most popular certification programs are in the fields of dental assisting, medical assisting, and surgical technology, directed by Jane Fisher. Each of the health science programs at Palm Beach State College has its own certification exam that students complete at the end of their 10–13 months of study. Each exam is governed by a national board or association and is administered online at an independent testing center. Although students were completing their fields of study with the skills and knowledge necessary to be successful in areas such as medical assisting, dental assisting, or surgical technology, translating that knowledge to the online tests was becoming a challenge. Edmentum’s Northstar Workforce Readiness system provides easy-to-use online practice and preparation for Allied Health certification and licensing exams, making it the perfect tool for students to use for test practice, instruction, and review. Palm Beach State selected the program because of its ability to be customized for the certification exams, as well as the bundled pricing that allowed a small college to take advantage of the opportunity. Because the certification exams have quite a bit of vocabulary involved as well, Study Island was also brought in to strengthen students’ understanding of the complicated terminology involved in their fields. Each program mandates a certain percentage of class time to be spent on Northstar Workforce Readiness and Study Island and incorporates the students’ performance online as part of their grades in the program. To improve the students’ speed and recall, Palm Beach State is even using a clicker system with the programs, which is also helping the students become more comfortable with online testing. This is the first web-based resource for testing that the program has utilized. 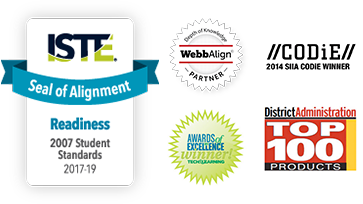 We are pleased with the content and believe it has assisted in the overall increase of our certification scores. The first students to have used Northstar Workforce Readiness and Study Island during their course of study at Palm Beach State College finished their programs in the spring of 2013. “This is the first web-based resource for testing that the program has utilized,” Fisher said. “We are pleased with the content and believe it has assisted in the overall increase of our certification scores.” As a result, passing rates on the medical assisting, dental assisting, and surgical technology certification exams have increased. A new class of roughly 30 future medical assistants, dental assistants, and surgical technologists will begin their programs at Palm Beach State College in the fall of 2013 and will emerge 13 months later thoroughly prepared for their certification exams. The college is currently determining whether to adopt Northstar for its other post-secondary certification programs.